John Carpenter claws off pavement at the site of a water main replacement project on West Brumfield between Hart and West Streets Tuesday. The section of street will be closed to traffic through the rest of the week until the project is completed. 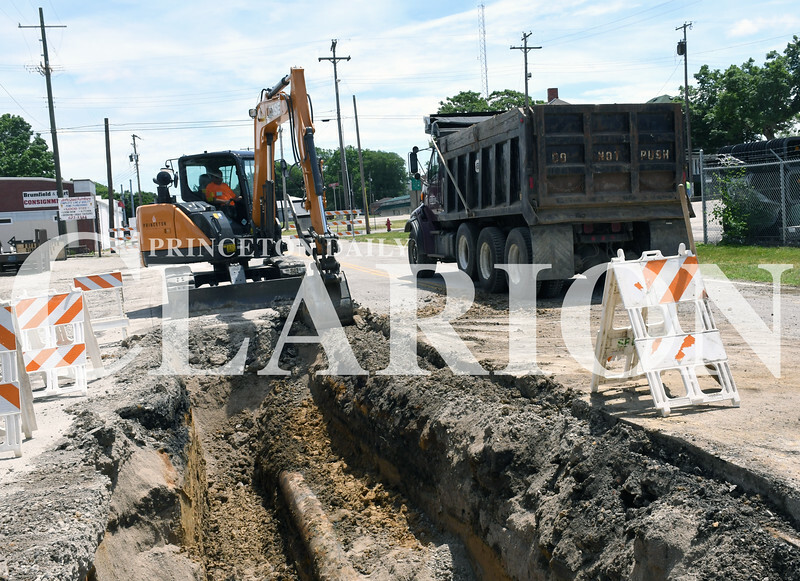 City officials said that once the water line is replaced and the Heritage Trails project is finished, Brumfield will be repaved.